Will First Nations bring Online Casino Gambling to Atlantic Canada? 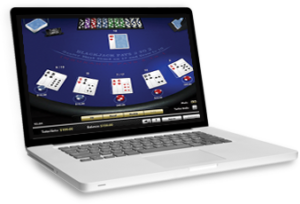 Canada is home to one of the most lucrative online gambling industries in the world. Analysts says it’s a $13 billion market. But only a fraction of that is coming from provincial ‘monopolies’. Most of it comes from Canadian players who are depositing with offshore websites regulated in places like Cyprus, Gibraltar, Isle of Man and Malta. The provinces of Atlantic Canada aren’t generating much revenue at all, compared to the size of the industry. According to researchers at H2 Gambling Capital, the region’s online gambling site, ALC.ca, only brought in around $57 million this year. Its internet Pro-Lines were responsible for $10 million of that, compared to the estimated $90 million their residents wagered at offshore online sports betting sites. It’s clear that something needs to give. The Atlantic Lottery Corporation (ALC) agrees wholeheartedly. It’s been trying for years to convince the provinces of New Brunswick, Newfoundland and Labrador, Nova Scotia and Prince Edward Island that Atlantic Canada simply can’t compete in the online space without expanding into online casino and poker. Those activities saw $28.9 million and $18.9 million respectively funneled into offshore gambling websites. Now, some members of the First Nations in Atlantic Canada are prepared to step up to the plate. If the ALC is unable deliver what the people are obviously craving, why shouldn’t they? By rights, the First Nations could have delved into online casino gambling a long time ago. The problem is, not everyone is convinced it’s a good idea. Not everyone is certain that it’s perfectly legal, either. According to John Paul, Executive Director of the Atlantic Policy Congress of First Nations Chiefs Secretariat, there are too many who oppose the plan. He says that the First Nation communities of Atlantic Canada aren’t ready to go all in on online gambling. Voicing the other side of the argument is former Tobique First Nation Chief Gerald Bear (2006-08). He points out that “Online gaming worldwide is $4 trillion”, and believes that even the smallest slice of that pie would be might tasty for First Nations communities. According to Treaty and Aboriginal rights, the Canadian Constitution gives First Nations unequivocal rights to host gambling activities within their communities. That includes online gambling, says Bear. One issue could arise from the fact several First Nations communities have signed agreements with provincial governments to host ALC video lottery terminals at their casinos. Murray Marshall, lead attorney for the Kahnawake Gaming Commission (KGC), believes the First Nations can probably go into the online casino gambling business without fear. The KGC did so years ago, recording 2016-17 annual revenue of more than $795k for the Mohawk Territory. They currently regulate 20 operators hosting 99 online gambling websites. The KGC did have to fight for its right to offer online gambling services on Canadian soil. The Quebec Courts challenged their right in the 2007 case, Horne vs. Kahnawake Gaming Commission et al. The Supreme Court ruled in Kahnawake’s favor, and there’s been no challenge since. However, because the First Nations have not been under the microscope of the court system, Marshall says he can’t say for certain that they couldn’t be subject to challenge. Until a specific case arises, and the courts decide, their rights remain in a ‘grey zone‘ of the law. 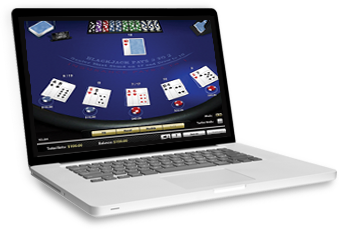 Marshall is certain that Canadians are not breaking any laws by accessing offshore online gambling websites. There’s nothing illegal about that, he says. He’s not so certain, however, that those websites aren’t in violation of the law law by accepting Canadian deposits. Until that right is disputed in Canada’s court system, it will also remain a grey area of the law.